About this time every year, dedicated FIFA fans begin to think about next year’s game. EA Sports will release FIFA 16 later this year but they haven’t yet announced the exact date we should expect it. Even without that, we are able to forecast the release date for FIFA 16 based on a lot of research and past history. We know that all blockbuster video games are released on Tuesdays in North America. That has been an industry standard for decades. FIFA 16 will be no different. Now let’s look at historic release dates for earlier versions of the game. FIFA 15 – Released in North America on Tuesday, September 23rd, 2014. Worldwide release on Friday, September 26th, 2014. FIFA 14 – Released in North America on Tuesday, September 24th, 2013. Worldwide release on Friday, September 27th, 2013. FIFA 13 – Released in North American on Tuesday, September 25th, 2012. Worldwide release on Friday, September 28th, 2012. We could go on and on with this trend with previous FIFA games but at this point, you get the idea. It is always released towards the end of September on a Tuesday in North America and a Friday in Europe and worldwide. With that in mind, we can say that FIFA 16 will be released on Tuesday, September 22nd, 2015 in North America and Friday, September 25th, 2015 in other parts of the world. This post is only referring to FIFA 16 on the XBOX One, PlayStation 4, XBOX 360, and PlayStation 3 consoles. FIFA 16 on other consoles, mobile games, etc will have different release dates. Look for the official FIFA 16 release date announcement to come during the E3 conference in June. 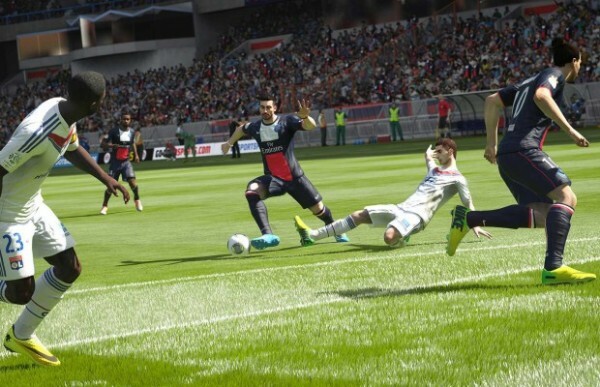 EA Sports typically also shows off a trailer and some new features in their upcoming FIFA game at E3. And more FIFA 15 Coins in UTfifa15coins.com online, so all of you just come here for more fun! and more game enjoyment!